This is a clip for Best F(r)iends. The Room's cult-legends, Tommy Wiseau and Greg Sestero, are together again in the upcoming two-volume film. 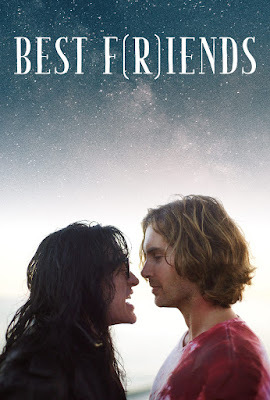 It was written and produced by Greg Sestero, directed by Justin MacGregor, and stars Tommy Wiseau, Greg Sestero, Kristen StephensonPino, Vince Jolivette, Paul Scheer, and Rick Edwards. It will be released in two parts, the first part on March 30/April 2 and the second on June 1/June 2nd, 2018. Check out the synopsis and clip below. "When a drifter (Sestero) is taken in by a peculiar mortician (Wiseau), the two hatch an underground enterprise off the back of the mortician's old habits. But greed, hatred, and jealousy soon come in turn, and their efforts unravel, causing the drifter to run off with the spoils and leaving the mortician adrift. An expedition across the South West introduces wild and crazy characters through a series of twisted and dark foibles as both men learn a valuable lesson about friendship and loyalty.Check out the video below to see what made the list."